If you're like most Americans, chances are that work and family keep you busy and on the go. Probably you purchase at least one meal a day in some sort of restaurant. But can you dine out regularly and still stick to the South Beach Diet? The answer is a definite "Yes." 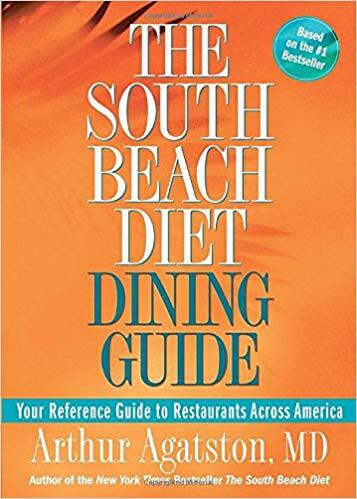 In The South Beach Diet Dining Guide, leading cardiologist Dr. Arthur Agatston makes it easy to eat healthy in more than a hundred restaurants across America. From fast food to fine dining, learn what you can eat in more than 75 of the most popular chain and family establishments and in the best business-class restaurants in 15 of the most traveled cities from coast to coast. In The South Beach Diet Dining Guide, you'll discover that you don't have to give up fats or carbs -- you just need to choose the right ones. You'll learn strategies for making healthy choices no matter where you're eating or what phase of the diet you are on. Whether at the mall, on the road, at the airport, or out with family and friends, this book helps you follow the nutritional principles of the South Beach Diet every time. And to make your ordering decisions even simpler, the fast-food and chain entries list the calorie, carbohydrate, fat, saturated fat, and fiber content of a dish, along with the appropriate South Beach Diet phase. Remember, you can eat anywhere and stay on South Beach! This indispensable guide shows you how.